Some years ago Molly Dineen made a wonderful documentary called Home From The Hill. It charted the homecoming of Hilary Hook, who for 40 years had served as a colonial administrator in the highlands of Kenya. Now, returning from the tropics to a north London suburb, he floundered about his kitchen struggling to work out how to use a tin opener. Profumo, pop music, non-stick frying pans - all these had passed him by. He was home, but not at home. Younger viewers in particular, who thought of colonialism as a backdrop to the costume dramas of the early 1980s, found it strange to watch someone who was both a product and an agent of such an antique world order. Here was a man, charming and intelligent, who saw modern life as a foreign country: this twinkling octogenarian came across as a time-traveller. After all, doesn't colonialism belong to some other, long-gone universe? 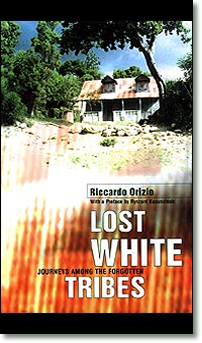 Not according to Riccardo Orizio, the Italian journalist who has produced Lost White Tribes, a superb and beguiling work in which he travels in search of the long-forgotten descendants of those Europeans who voyaged to the colonies and, unlike Hook, never came back. These include Dutch burghers in Sri Lanka; German workers and acrobats who sailed to Jamaica after Abolition and ended up as slaves themselves; American confederates from Texas and Alabama who fled to Brazil after the Civil War hoping to fashion a new Dixieland out of the cotton and slaves available to them there; and Polish soldiers sent to quell the slave rebellions in the French colony of Saint-Domingue at the start of the 19th century, and who ended up fighting on the side of the insurgent Haitians. Most of these groups are missing from both hipster tour guides and the colonial archive. Often they've become apocryphal creatures within their own countries, mistaken for missionaries or dismissed - correctly, in the case of the Blancs Matignon in Guadeloupe - as incestuous peasants. They're torn between the desire to be heard - to reach out to a wider world that might rescue them from penury - and a survivalist suspicion that their long-guarded secrets may be exploited by novelty-chasing outsiders. So they teeter on in straitened circumstances: many Germans died from disease or malnutrition when they first arrived in 19th-century Jamaica, and their descendants, still straggly and emaciated, were deemed just right to play prisoners when the film Papillon was shot there. This is emphatically not a history of the white colonial elites. Orizio's white tribes may live in the shadow of opulent resorts or Great House plantations, but their own communities can often be reached only by pot-holed mud tracks. The Poles in Casales live in dried mud houses on a treeless mountain. They have no electricity, running water or school; their church collapsed years ago. Now that their skin is as dark as Haitians', all the ancestry they have left is the hint of Slavic cheekbones and a dance they call the polka - and a framed photo of the Pope, who visited the island 20 years ago and who they still dream will rescue them. 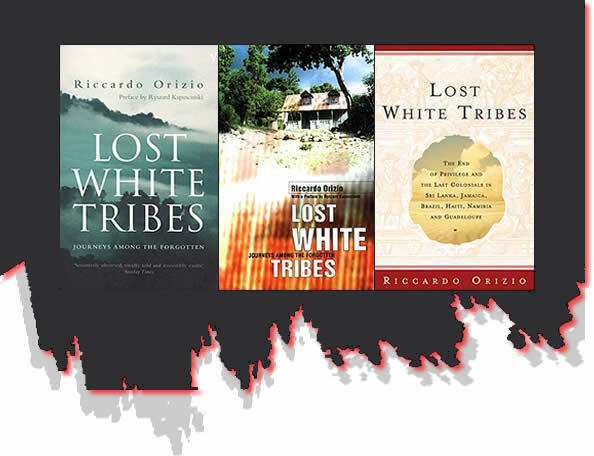 Orizio finds that these dispersed communities have much in common, chiefly a fear of extinction (the Basters of Namibia have had their land confiscated and are forced to speak English rather than Afrikaans at school) and an ambivalence towards miscegenation (the Germans in Jamaica look askance at marriage to black islanders, while the Confederates in Brazil reserve their scorn for those who marry native Indians). An ambience of embattled loneliness hovers over most of them. Orizio does not try to weave these disconnected peoples' complex political and historical trajectories into a single grandiose theory: he's fascinated by poignant specificities, the enigma of each arrival. Warmly solicitous but never sentimentalising, the book bears comparison with such masterpieces about migration as Nicholas Lemann's The Promised Land and John Berger and Jean Mohr's A Seventh Man. "How does one distinguish between a slight story that never made any headlines and a great adventure that deserves the status of history?" Orizio never answers his own question. Yet while individually his subjects are small fry, their lives shed light not only on a cruelly overlooked residue of colonialism, but on the bravery and utopian resilience that fuels those millions of people who, today, uprooted by war and poverty, trek across China, sub-Saharan Africa and the Balkans in pursuit of a better life. The Martiniquian poet Aimé Cesaire once wrote: "Hurrah for all those who have made nothing!" Lost White Tribes eschews that kind of cheerleading. Nonetheless, it will embed the lives of those nothing-people in the imaginations of the wide readership it deserves to win.